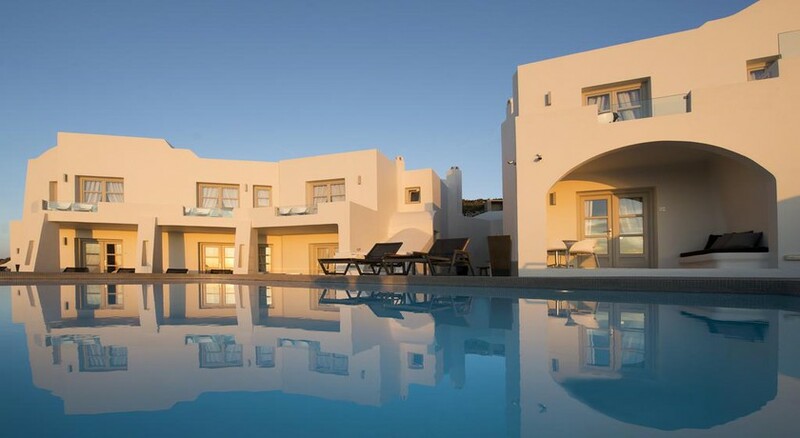 The Avaton Resort and Spa is a luxurious hotel that located in a quiet locale of northern Santorini. The resort allows its guests to enjoy the natural beauty of Santorini. Located on a cliff the resort’s guestrooms are bathed in natural light and offer exceptional views of the sea. 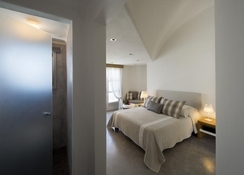 Guests can enjoy beautiful sunsets from the comfort of their rooms. The onsite restaurants too incorporate the hotel’s locational advantage and offer meals al fresco. The cuisines offered at the restaurants include traditional as well as international. The resort’s spa offers both ancient as well as modern massage therapies. The indoor or outdoor swimming pools are the perfect place to relax and sunbathe. 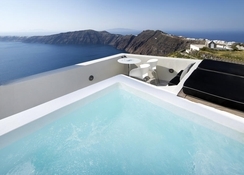 Located in the northern part of Santorini, the hotel offers lovely views of the sea. 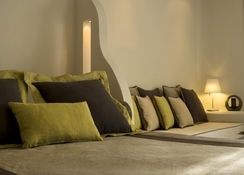 The Avaton Resort and Spa is only a few kilometres from the town of Thera. Imerovigli and several restaurants, shops, bars, and shops are only 400m from the hotel’s doorstep. The Santorini International Airport is only 8.9km from the hotel, making it convenient for guests to reach and board their flights back on time. The Avaton Resort and Spa offers only nine guestrooms and suites that are spread around a central pool. All guestrooms come with a king-size bed or two twin beds, private balconies (premium rooms), free Wi-Fi, safe, tea & coffee making facilities, centralized heating, centralized air conditioning, ceiling fan, en suite shower, satellite TV, mini-fridge, radio, hair dryer, continental socket, in-room hair dressing services, iron and ironing board available on request and much more. The resort features an onsite restaurant. However, guests can order their breakfast the night before, which is served in their rooms or balconies. The choice of cuisine here is wide and far reaching. For an authentic dining experience, guests can visit the Cave restaurant. The hotel features an outdoor swimming pool and an indoor swimming pool. There are plenty of sun beds and parasols located around the pool where guests can lounge and sunbathe. The spa at the Avaton Resort and Spa is exceptional. It houses a stunning grotto-spa with its massage rooms for couple sauna, steam room, cold plunge pool for afterwards and a heated hydromassage pool. The hot tub in the spa area promises pleasant relaxation. A poolside snack bar is also available for your mid swim hunger pangs. The hotel has Wi-Fi in the common areas. Laundry service, wake-up service, dry cleaning, shoe shine service, postal services and ironing service complete the services offered.